CBI 1:40 | Abbiamo imparato molto! It’s time for the final episode of Coffee Break Italian in this season, and the team is back in the studio reflecting on what they’ve done in Italy. This gives us the opportunity to think about how you talk about the past in Italian. Mark and Francesca also test Katie on what she’s learned in the course so far. 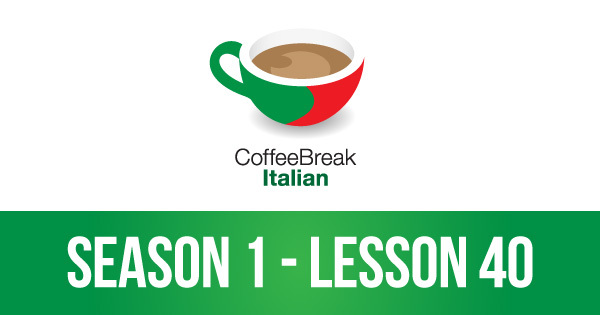 Access this lesson and all future lessons of Coffee Break Italian automatically by subscribing to the podcast. You can access the podcast on your computer, tablet or phone using the appropriate links below. Join the conversation with the Coffee Break Italian team on social media! We post regular language and cultural information on Facebook, and you can keep up with Coffee Break Languages on Instagram. 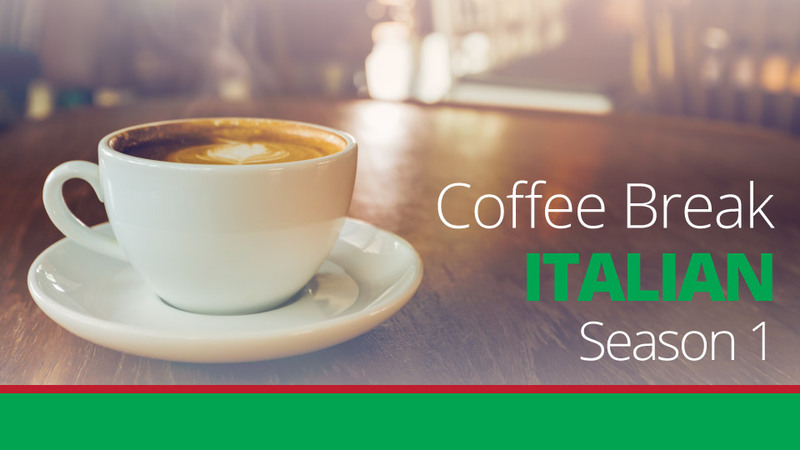 The premium version of Coffee Break Italian Season 1 provides additional materials which will help you move forward more effectively with your Italian studies. These are available on the Coffee Break Academy. Study the language of each lesson in greater detail and access additional information about Italian in our comprehensive lesson notes. Not quite sure if you’re ready to sign up for the premium version of Coffee Break Italian? Non c’è problema! We’d love to offer you a free trial. Just enter your details below and we’ll send you an email to confirm your level and get you set up with the first three lessons of the course absolutely free, with no obligation! PrevPreviousCBI 1:39 | Ho l’acquolina in bocca!